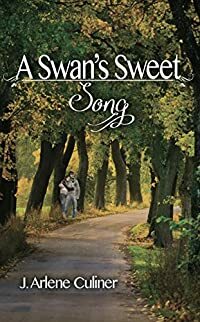 The instant Sherry and Carston meet, there's desire and fascination in the air...but they're complete opposites.Smart-talking Sherry Valentine has fought her way up from poverty to stardom as a country music singer. Now, ever in the limelight, ever surrounded by clamoring fans, male admirers, and paparazzi, her spangled cowboy boots carry her from one brightly lit stage to the next. But Sherry's been on the star circuit for far too long now, and she wants a change: is it too late for her to begin an acting career?A renowned, but reclusive playwright, Carston Hewlett cherishes his freedom, the silence of the deep woods surrounding his home, and his solitary country walks. Long-term commitments have been out of the question for many years, so why is he suddenly fascinated by a flashy country music singer? Perhaps a very short, but passionate, fling will resolve the problem.When their names are linked in the scandal press, and Sherry's plans to become an actress are revealed, Carston is furious. Is their budding relationship doomed?